For the past three years, Al-Qaeda has sought to hire engineers and other experts to help the terrorist organization fend off US drone strikes that have increasingly hobbled the militant network, according to documents leaked by Edward Snowden. 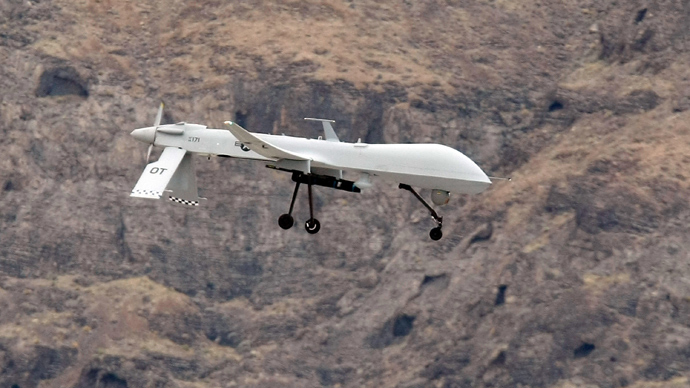 Drone warfare throughout Yemen and Pakistan has pushed remaining Al-Qaeda leaders into secluded areas of the Middle East. From there, they have attempted to shoot down, hijack, or otherwise incapacitate drones with help from operatives with backgrounds in science or mechanics. The revelations are included in a top-secret report titled “Threats to Unmanned Aerial Vehicles,” disclosed to The Washington Post by former National Security agency contractor Edward Snowden and first published on Tuesday. The document chronicles a summary of intelligence assessments collected by American spy agencies since 2006. 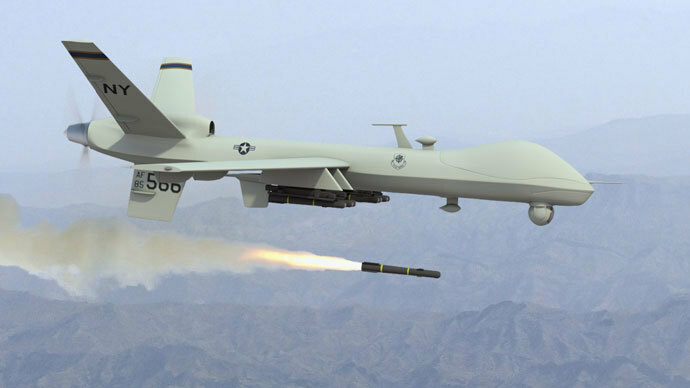 In July 2010, the Defense Intelligence Agency (DIA), a US spy agency, discovered digital communication from top Al-Qaeda leaders revealing that the terrorist network assembled a “strategy guide” that explained how “to anticipate and defeat” drones to militants around the world. Militants have also employed small radio-controlled hobby planes and observation balloons in an effort to decipher drones’ flight paths, according to The Post. A 2010 report from the CIA described how Al-Qaeda recruiters no longer preferred “ordinary fighters,” instead opting for “specialist staff” who were familiar with missile technology. In March of this year the English-language magazine Azan, which is sympathetic to Al-Qaeda, included seeking technological advice. “Any opinions, thoughts, idea and practical implementations to defeat this drone technology must be communicated to us as early as possible because these would aid greatly…against the crusader-zionist enemy,” the text read, as quoted by The Post. Nothing in the new disclosure indicates that Al-Qaeda has successfully brought down a drone, but the organization’s attempts to develop laser detectors – and potentially cloud a drone’s location or vision capabilities – have alarmed US analysts. 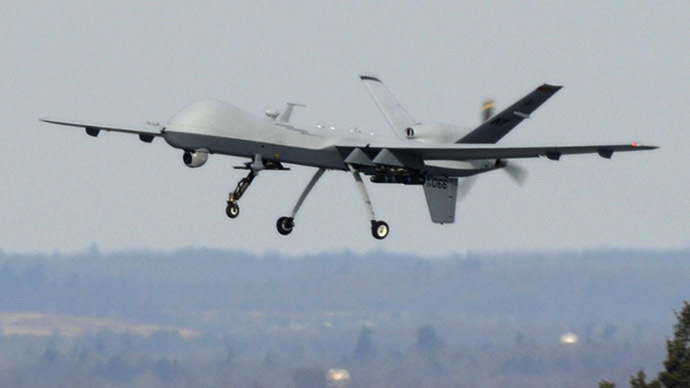 In 2009, Iraqi insurgents proved their ability to hack a drone’s video feed and monitor its flight path. 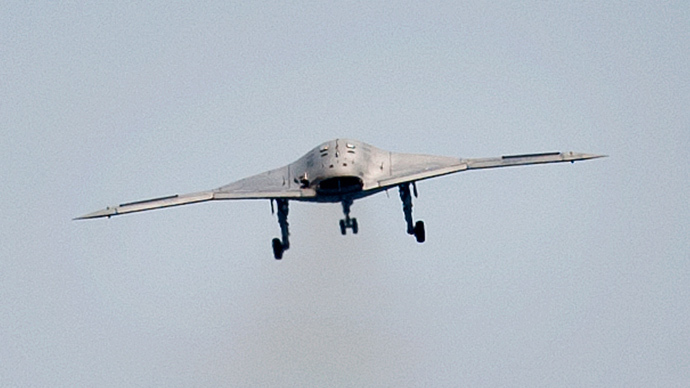 The drone program has become one of the benchmarks of the US counter-terror policy. 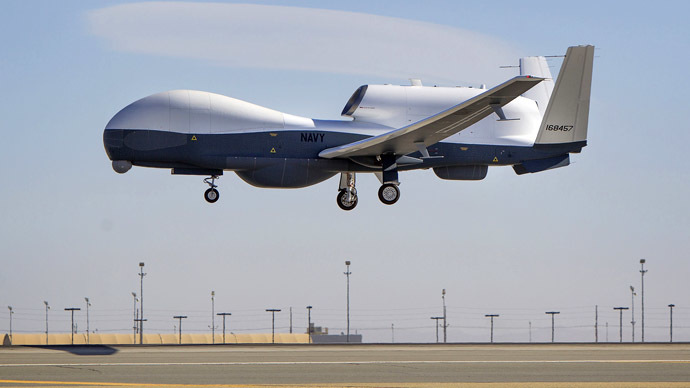 Each unmanned aircraft is equipped with a camera that allows the pilot - from a military base in the United States - to spend weeks monitoring a region where a target is thought to be hiding. When an Al-Qaeda fugitive has been positively identified, often while driving in a vehicle, a US commander approves the strike, allowing the pilot to remotely shoot a missile from the drone and incinerate the target. This method has proved successful at hunting suspected terrorists hiding in locations unreachable to US troops, but is thought to have killed thousands of civilians throughout the Middle East. While officials refuse to acknowledge specific numbers or events, the attacks have contributed to deep anti-American sentiment, particularly in Pakistan, where USA Today estimated that strikes have eliminated approximately 2,505 to 3,584 terror suspects and 407 to 928 civilians.